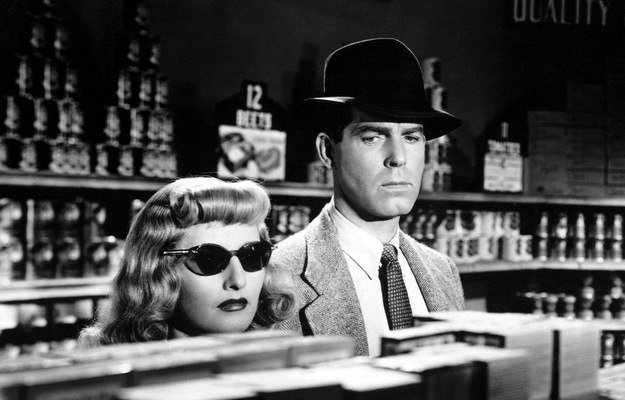 This week on Alcohollywood, we’re turning back the clock to review and drink to the 1940s film noir classic Double Indemnity, starring Fred MacMurray, Barbra Stanwyck and Edward G. Robinson! This tale of intrigue, murder and illicit romance follows insurance salesman Walter Neff (MacMurray) as he hatches a scheme to kill the husband of his lover (Stanwyck) to get a ‘double indemnity’ payout on a newly hatched insurance policy. The twists and turns, as well as the tension, are fantastically played even by today’s standards, and Fred MacMurray is stellar as the world’s tallest detective, who loves grabbing women’s shoulders when he makes out with them. Check out our drinking game and review here! Pour over ice; stir. 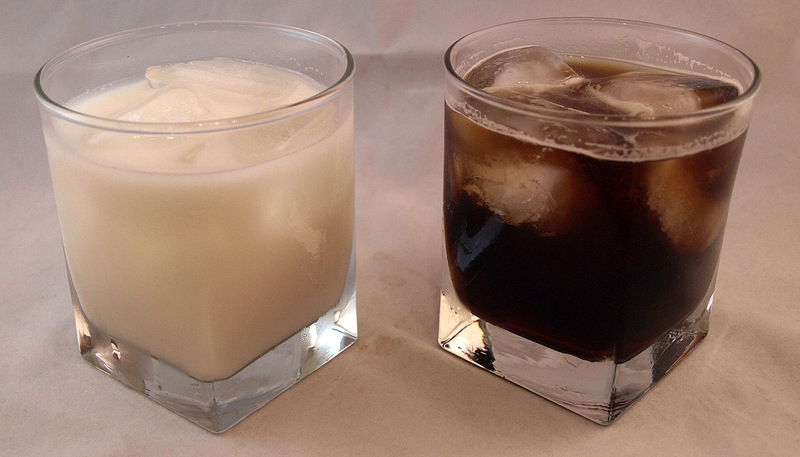 Pick your poison, or use the white drink as a chaser for the black drink. Next week, we’re pulling back the curtain to reveal the secrets of Christopher Nolan’s magic/science flick The Prestige, in belated honor of Nikola Tesla’s birthday! ANNOUNCEMENT: We’re going to our first official convention, offering press coverage of Wizard World Chicago Comic Con 2012, so stay tuned for special podcast treats the first weekend of August!